You’re finally done writing your dissertation. You went through the main points that required editing. You might think you’re done, but you’re not. There’s another important stage to go through: proofreading. During this stage, you’ll read the entire dissertation again, and you’ll focus on the details. You need to improve all grammatical, spelling, and mechanical errors. You’ll inevitably identify problems with subject-verb agreement, tense, parallel structure, spelling, sentence flow, punctuation and capitalization. If you’re not able to focus on all these details, you can always rely on RushEssay. We provide affordable dissertation proofreading service of highest quality. Most PhD candidates don’t take the proofreading process seriously. That’s a big mistake. If you skip this stage, you won’t reach the full potential of your work. The problem is that most writing services that offer proofreading assistance don’t get those orders seriously, either. They will just skim through your content and correct minor, obvious mistakes. RushEssay.com is different. Our editors have individual approach to each and every customer. We carefully go through your instructions. We assign the projects to editor who are experienced in proofreading content of the particular type. This means that you’ll get high-quality dissertation proofreading that makes a real difference. Each editor in our team has their own proofreading system. Some use proofreading symbols for identification and correction, and others like using colored ink or parenthetical notations. The process differs from editor to editor, but the final result is always uniform. All our customers get content that’s entirely free of grammatical, spelling, syntax, and punctuation issues. You can contact your proofreader any time if you feel the need to discuss the changes. What makes us better than all other dissertation and thesis proofreading you could use? Allow us to explain. The ordering process is really easy. You’ll only need to complete a simple order form to tell us what you need, and upload the content you want us to proofread for you. You assign the deadline, and we comply! We understand how important it is for you to have your content ready on time. We guarantee not to miss your deadline. We guarantee the successful results of your order. 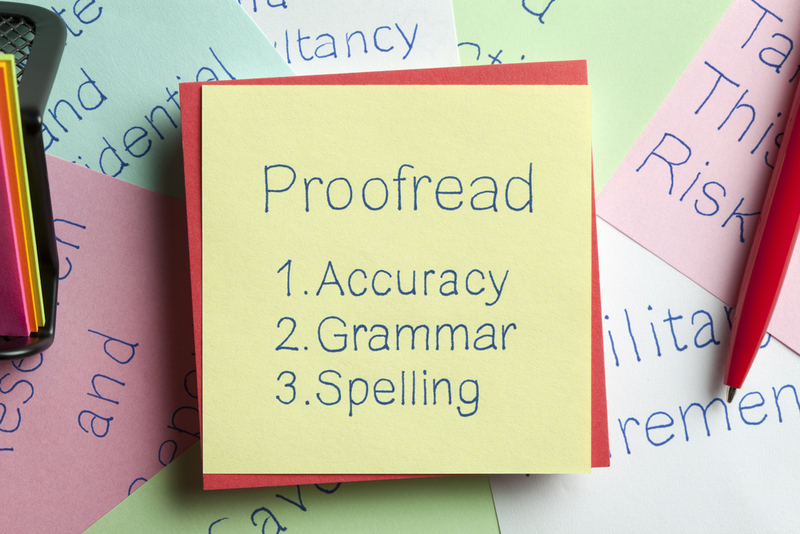 We hired true experts who know how to handle the proofreading process even when the content is an extreme challenge. We’ll maintain the style you request. If you need American or UK spelling, we’ll make sure it’s uniform throughout the paper. Our dissertation proofreading service is really affordable. The pricing system is transparent and there are no hidden costs involved. You want to elevate the quality of your dissertation? Hire RushEssay.com and you’ll get polished-out content right on time!